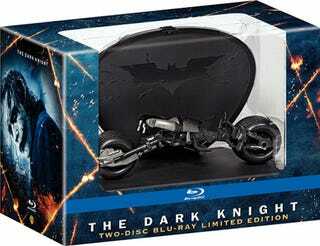 We already knew that a special edition of the upcoming Dark Knight Blu-ray release was going to drop alongside the standard version on December 9th, but the first images have only just leaked out from TheHDRoom. Outside of the case, both versions are identical—so I find it hard to justify spending $65 on this thing (the standard version is currently on pre-order for $25). But then again, I'm cheap like that.